& we want to hear from you! 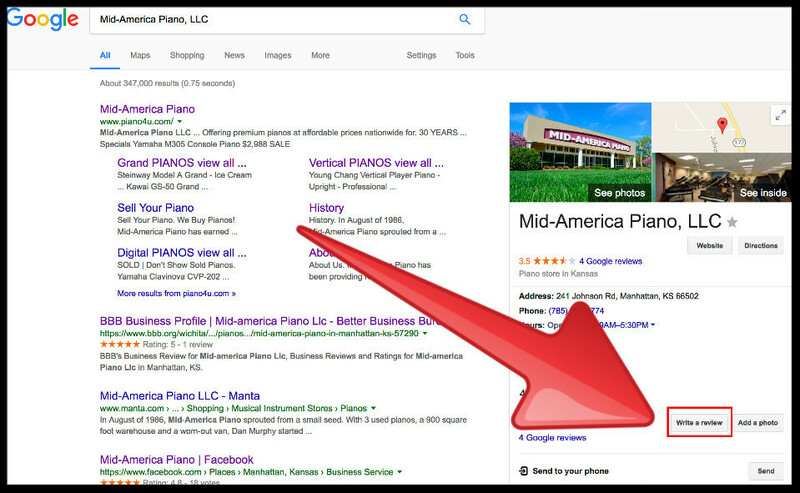 At Mid-America Piano we would like to work toward growing our "online" reputation for customers nearby or states away. This will also help our credibility for customers who are not able to travel to our store. Whether it's positive or something we can improve on, we want to hear about your experience with us. Click on the Google logo above or the link below to leave us a Google review. link below to leave us a Yelp review. Click on the Facebook logo above or the link below to leave us a Facebook review. 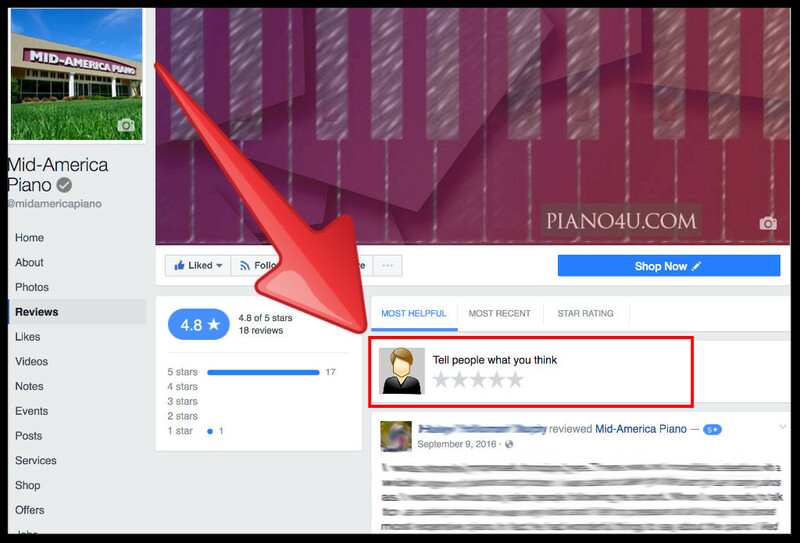 *Reviews sent by email may be shared on our website; PIANO4U.COM, or social media platforms.